When making dishes that require wet breadcrumbs, i.e. keftedákia, very often Greek recipes talk about soaking dry bread to obtain a nice grainy, moist crumb, that you can then add to mince etc. If you try to do this with most commercially produced bread bought in the U.K. you will find that this is almost impossible. I am not sure why, but if you soak the bread here, all you will get is a gluey dough and you will find this difficult to incorporate into anything! 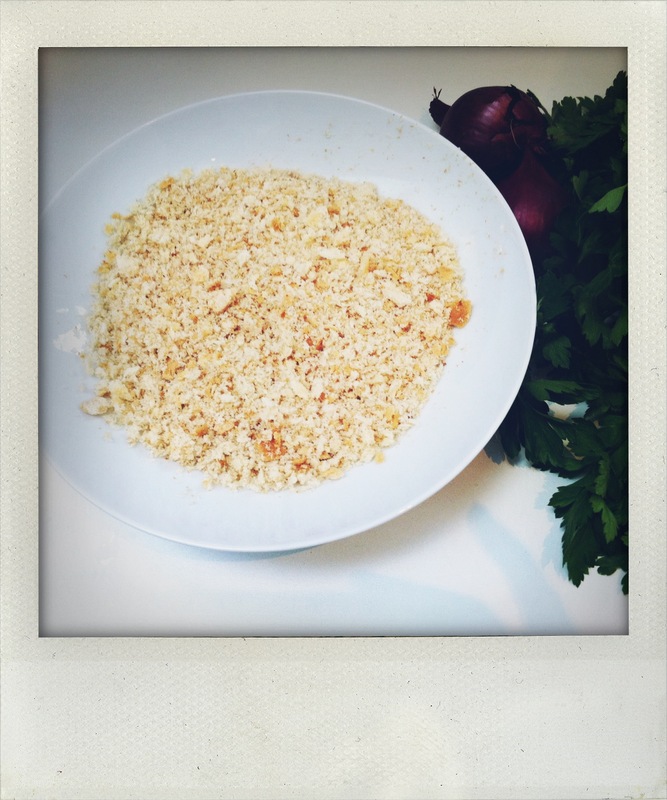 By far the easiest thing to do is make your breadcrumbs with any bread you have to hand in a food processor and then, according to how moist the resulting crumbs are, just sprinkle with a little water. Simple advice – but believe me acquired after a lot of mess over the years ! Although sometimes you absolutely have to use dry pulses i.e. fakés, I am not evangelical when it comes to other dishes. A useful and practical store cupboard essential are cans of good quality boiled pulses. I always have cans of chickpeas (garbanzo beans), butter beans, and black eye beans to hand. 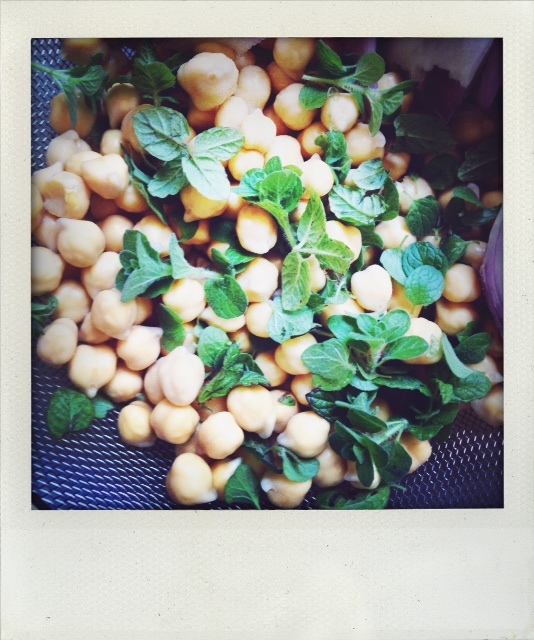 If you just want a few hundred grammes of chickpeas, who has the time to soak, boil and skin them from scratch! To rustle up ‘yígantes’ (giant beans), a couple of cans of butter beans turn this classic dish into fast food! Although I prefer to cook black eye beans from dried for a lovely salad dish, having a few cans available to speed things up in an emergency is perfectly accepatable. 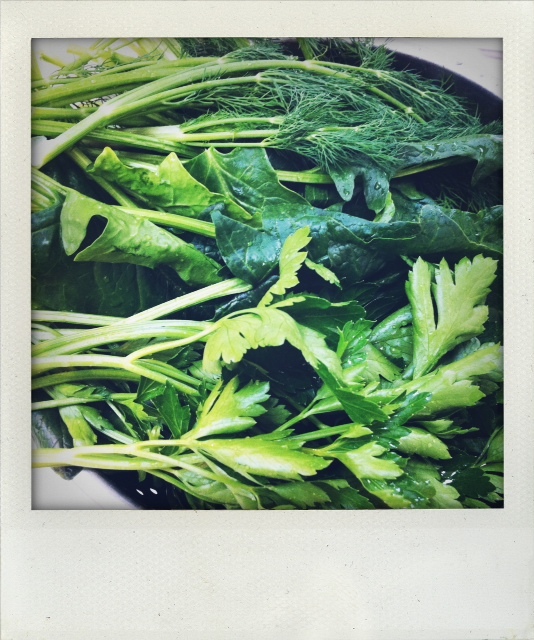 Chopped herbs are an essential for most Greek dishes and in most fresh herbs are really needed. However, it is always a good plan to have some parsley, dill and mint in the freezer. Just wash the fresh herbs, drain them well and put them in a freezer bag. You can scrunch them up when you come to use them and they are perfectly acceptable in all cooked dishes. I find frozen okra (ladies fingers) are probably preferable in this country to using fresh ones. The small (usually Egyptian ones) found in most ethnic supermarkets are much nicer than the large, stringy fresh ones available here. Frozen broad beans (koukiá) and peas (araká or bizeliá) are perfectly lovely in the classic springtime vegetable casseroles.